Measurable performance is a key factor when selecting an Application Delivery Controller(ADC) solution for modern data centers. 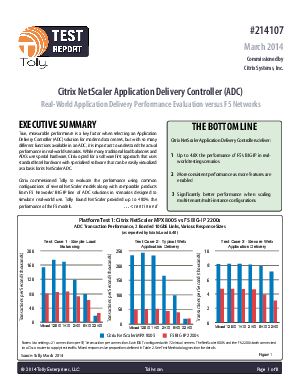 In this report, Tolly evaluates several Citrix NetScaler ADC models vs. that of comparable products. Learn how NetScaler fared and provided up to 480% the performance of F5.